If there was a country that you needed a VPN service in then Australia is certainly up there with the best of them. In this article I’m going to take a look at the Best VPN for Australia and the various uses you may have for one. I’ve listed 5 of the best providers and given a run down of why some are better than others. VPN use in Australia is now almost a necessity. With metadata logging in full operation in Australia the privacy of citizens has all but been eroded and with Australia often getting a poor deal on online prices and content from everything from Netflix to Steam there is every reason to tunnel out. Let’s take a look at the Best VPN for Australia to help you choose the service that will give you the best deal for your money. IPVanish is the best VPN for Australia without a doubt. They have 35 VPN servers in Australia alone in both Syndey and Melbourne making them one of the largest presences in Australia. These Australian based VPN servers are great if you’re concerned about your privacy either at home or when out and about in public. Having localised Australian servers allows you to get the best possible speeds while protecting your privacy. If you want to avoid Australian metadata retention laws then IPVanish has a good selection of servers in nearby locations. With 9 servers in Auckland, New Zealand, and servers in Indonesia, Malaysia, Singapore, Hong Kong and throughout most of Asia you’re spoilt for choice with offshore locations. If you’re buying digital services then like many Australians you might want to look to other marketplaces due to the high costs at home, with worldwide VPN locations in over 60 countries including large parts of North America and Europe it allows you to grab discounted prices for services and access more content that you might otherwise have been able to. IPVanish support Windows, Mac, Android and iOS devices with custom software and apps making connection open to beginners and experts alike. At just $6.49 (US) per month when taking an annual package IPVanish won’t break the bank either. Overplay doesn’t quite live up to the number of servers IPVanish has which is why it makes them my second choice VPN provider for Australia. Overplay has 3 servers in Australia which should be more than enough for most needs as some providers don’t offer any Australian servers this is definitely a plus for Overplay. If you need a selection of nearby servers then New Zealand is also available and with a handful of servers in Asia including Singapore and Hong Kong amongst others, there is certainly enough local connection points to get ideal speeds. With both Australian VPN servers and servers in other nearby jurisdictions, it means Overplay is both suitable for local privacy protection and also for averting metadata logging. A total of 48+ different countries are available to connect to including the most requested like the USA, Canada, and the UK so you’ll be able to access entertainment services such as Hulu, BBC iPlayer and a host of others from around the world. Overplay doesn’t have mobile or tablet apps which is a bit disappointing so if you’re a beginner and don’t fancy manual set-up then it’s probably best to stick with IPVanish. Overplay are also a little more expensive at $8.32 (US) per month when taking an annual account. ExpressVPN is a mammoth when it comes to VPN server locations with over 78 countries available to connect to. This is great news for Aussies because not only is Australia covered with servers in Sydney and Melbourne but New Zealand, Singapore, Indonesia, Philippines and a whole host of other countries in Asia are available to connect to. With Europe, North & South America and much of the Middle East and Africa covered ExpressVPN make a great option if you’re considering travelling. Whether you’re in Syndey or elsewhere an Australian VPN will have you covered. Travel aside the extensive network will allow you to unblock and access a range of entertainment content and access cheaper marketplaces. With 256-bit encryption it also makes the service suitable for use at home in Australia. Unfortunately ExpressVPN is one of the most expensive providers at $12.95 (US) per month and still a high $8.32 when taking an annual account. They do offer a 30-day money back guarantee which is more than most but the prices can be a little off-putting. If you’re happy to stump up the dollars then you’ll be well supported with Windows and Mac software and apps for Android and iOS devices meaning your iPhone, iPad or other tablet or phone types are covered. VyprVPN might not be the best VPN for Australia but they are certainly one of them due to the widest spread of servers across the country. Currently offering VPN servers in Sydney, Melbourne, and Perth. This makes VyprVPN an ideal choice if you live in Perth or on the west coast of Australia. Most providers concentrate on east coast locations and due to the size of Australia, this can introduce some lag. Providing a Perth VPN server will benefit west coast Australians. One of the features I like most about VyprVPN is they offer a 3-day trial which as far as I’m aware no other VPN provider does. You do need to enter your payment details and cancel it before the 3 days are up if you don’t want to keep it, but it does allow you to try before you buy. If you’re new to VPN services then VyprVPN will be one of the easiest to get the hang of because their software and apps are really simplistic and also uniform across devices. Windows, Mac, Android, and iOS are supported. They also have a dedicated router set-up guide section and a command line interface for Linux users. The downside is VyprVPN are one of the most expensive providers. Their basic package is terrible for privacy as they only offer the PPTP protocol which is insecure so you’re going to need to stump up for their Pro account which costs $14.99 /mo or $8.33 /mo when taking an annual package. VPN.ac are a privacy champion located in Romania. Last year they expanded to offer Australian VPN servers and are already located in Sydney and Melbourne. They’re a lesser known company but have been around a good few years and have a dedicated team of privacy experts behind them. Servers are available in Singapore, Hong Kong, and Japan so if you want to tunnel out there are options available. The Syndey VPN server also has an added SecureProxy function which is a separate browser add-on from VPN.ac that allows you to browse securely in your web browser only while you retain your normal internet connection for your other tasks such as email etc. If you’re visiting mainland China then VPN.ac are an excellent choice as they have dedicated servers for Chinese use and accept some more obscure payment methods such as Alipay. VPN.ac are one of the cheapest providers available if taking an annual package and work out at just $4.80 /mo so you not only get a decent service but you also save money too. It is essential now to use a VPN service in Australia for a multitude of different reasons and purposes. Through my testing I found IPVanish to be the best VPN for Australia for quite a number of different reasons. Not only are they one of the cheapest providers in terms of what they offer but they also provide the some of the best features specific for Australian users. It’s worth taking a look at the other providers listed above too as you many find they offer a feature that is specific to your need and all 5 options above will make for a decent choice for Australian use. 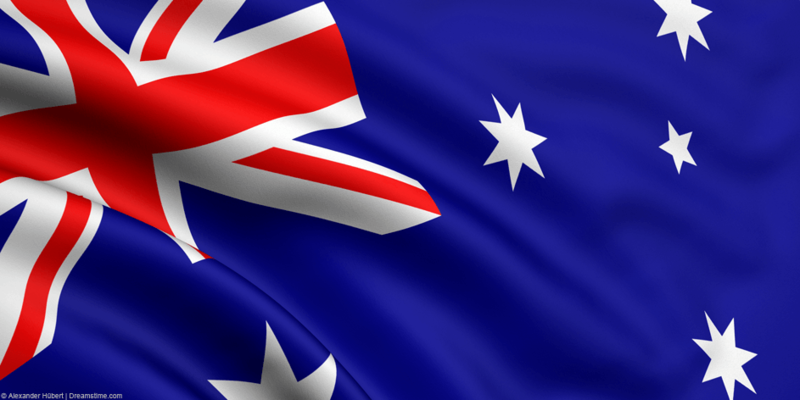 Below are a few of the many reasons why you’ll want to use a VPN service in Australia. In 2015 Australia introduced their Data Retention bill which became one of the most intrusive in the western world. Telecommunications companies in Australia such as your Internet Service Provider (ISP) are now required to store a set of records on your usage for two years. Metadata is information on who and when rather than actual content details. So for example if you sent an email then the time the email was sent, the email address of who you sent it and other such details are recorded. While on the surface it may sound like none-identifiable information if you were emailing [email protected] then you are potentially pointing in a direction of why you’re making contact. Metadata is important and using a VPN will allow you to tunnel out of Australia to avoid this retention. Australia is a country that often gets screwed on prices, not only physical but also in the online world. As an independent nation Australia has some of the highest digital media costs in the developed world and it’s not unusual for games and movies to cost a considerable amount more than elsewhere in the world. When accessing digital marketplaces websites check your IP Address which is a unique combination of numbers that can help determine your location. When accessing international sites it helps them push you towards an Australian localised site with highly inflated prices. Using a VPN allows you to get an IP Address from another country and access other countries marketplaces that often have cheaper prices. Not only are prices often higher in Australia but it’s also a country that gets content later than elsewhere. Often games and movies are released in North America, then Europe and then finally Australia. For new big releases this can mean a few days delay, especially in the gaming world. If you want to active your products earlier or get access to content before it is officially available in Australia then a VPN can definitely help you achieve this. 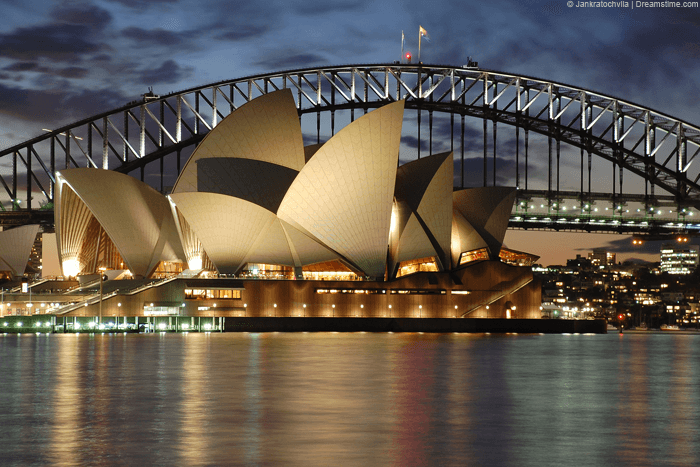 There are plenty of reasons to use a VPN service in Australia from the usual like protecting yourself on public Wi-Fi to the Australian specific above. I hope this guide has given you something to consider in your quest to find the best VPN for Australia and made your decision a little easier. If you want to recap the best VPN for Australia and see the choices again then check out the table below.